Idea Cellular has always been at the forefront of introducing a number of convenient options for customers to recharge their mobile phones. The company has now launched a new ‘Seamless Recharge’, which takes the recharge experience for customers to a whole new level. A first amongst telecom operators, this feature enables Seamless recharge which takes customers straight to the recharge page of My Idea app or Idea Website with pre-filled number and MRP details. With the elimination of multiple steps in the customers recharge journey, this feature brings about greater convenience for customers. Idea customers get notified about the special offers and recharges through app notifications and SMSes providing links to facilitate these easy recharges. Customers now just need to click on the link to get to the payment platform and complete the transaction. Says Sunil Tolani, Digital Head, Idea Cellular, “We realized that through this customer centric innovation we can make the recharge experience of our consumers quicker and simpler. Idea customers can now recharge seamlessly with the recommended MRP directly from the message sent by us. This innovation is an Industry first”. 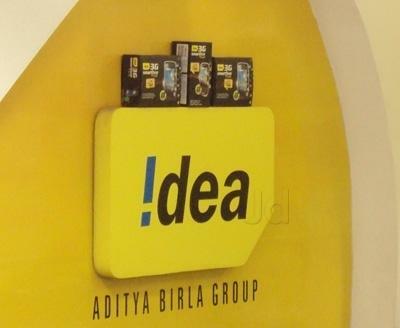 Idea has been continuously working towards enhancing customer experience for its nearly 200 million subscribers across the country. Going strong on customer engagement on its digital platforms through its website and My Idea App, the company also offers services like free home delivery of Idea Postpaid SIM, customized & recommended packs, cashback offers on digital wallet usage, and live status of the network coverage through My Idea Network. The company has further put in a special customer feedback system to address customer grievances through these digital channels. Idea Customers can now avail Seamless recharge on Website and App 0 out of 5 based on 0 ratings. 0 user reviews.